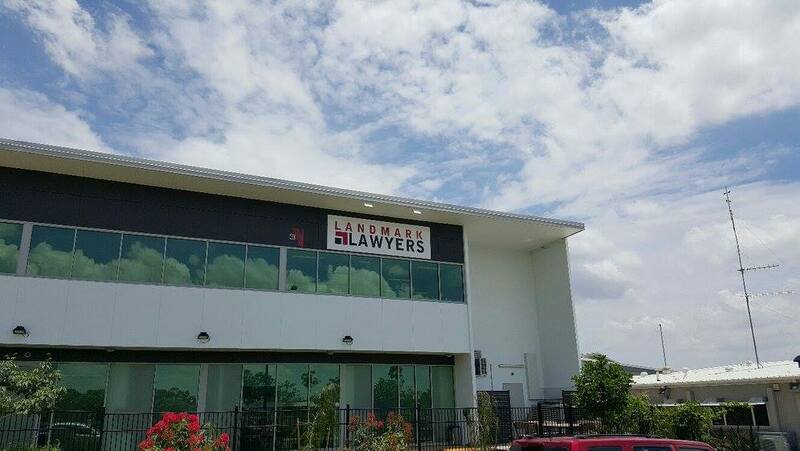 Landmark Lawyers now have offices in two convenient locations, Goodna and Augustine Heights (pictured). Landmark Lawyers is committed to protecting the privacy of your personal information in accordance with the National Privacy Principles under the Privacy Act 1988 (Cth) and other laws which protect privacy. Landmark Lawyers collects personal information necessary to conduct your matter. This information may include your names, address, telephone number, health information and financial information. Any information collected by Landmark Lawyers will be held in strictest confidence. Your information will not be disclosed to other parties except as necessary for us to conduct your matter. It may be necessary for us to disclose your information to professional advisors (including legal, medical, accounting, financial and business advisors). We may use or disclose personal information where required or authorised by law. This may include emergency situations and where assisting law enforcement agencies as required by law. Landmark Lawyers takes reasonable steps to ensure that the personal information we collect, use or disclose is accurate, complete and up to date. Landmark Lawyers takes reasonable steps to protect the personal information we hold from misuse, loss and from unauthorised access, modification or disclosure. If you wish to see access to or update your personal information, please contact us. An access fee may be charged to cover our costs of providing requested information. Where we are not required by law to give you access to information, we will give you our reason for denying access. We take reasonable steps to ensure the information we use is up to date. Like other websites, our website may use ‘cookies’. Cookies are a file that websites transfer to your computer’s hard drive through the web browser to enable their systems to recognise your browser. Cookies may also be used to record non-personal information such as the date, time and duration of your visit for website administration, statistical and maintenance purposes. Default settings of browsers like Internet Explorer allow cookies, but users can erase cookies from their hard-drive, block cookies or receive a warning before a cookie is stored. Some parts of the website may not function fully where users disallow cookies. Cookies and anonymous web usage information will not be used to identify you as an individual unless required by law. While we take care to protect your personal information on our website, no data transmission over the internet can guarantee 100 percent security. We can therefore not warrant the security of any information you send to us or receive from us online. We are unable to guarantee the security of emails whilst in transit. Once we receive your information, we make our best efforts to protect your information. You are welcome to contact us by telephone or by mail if you are concerned about sensitive material. Some emergency situations or law enforcement government agencies may require or have authority to review our web server’s records. Ourr website may contain links to other websites. We are not responsible for the privacy practices of those other websites.